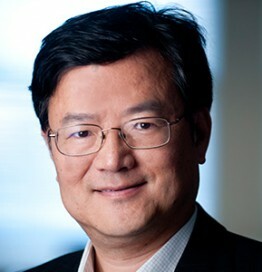 Bin He is Distinguished McKnight University Professor of Biomedical Engineering, Medtronic-Bakken Endowed Chair for Engineering in Medicine, director of the Institute for Engineering in Medicine, and director of the Center for Neuroengineering at the University of Minnesota. Dr. He has made significant research contributions to the fields of neuroengineering and functional biomedical imaging related to human neuroscience. His lab demonstrated, for the first time, humans can control a robotic arm and flying robot by their “thoughts” alone using a noninvasive system. Dr. He has received a number of awards including the Academic Career Achievement Award from the IEEE Engineering in Medicine and Biology Society. He is an elected Fellow of International Academy of Medical and Biological Engineering, IEEE, and American Institute of Medical and Biological Engineering. Dr. He serves as the Editor-in-Chief of IEEE Transactions on Biomedical Engineering, and is Chair-Elect of the International Academy of Medical and Biological Engineering.